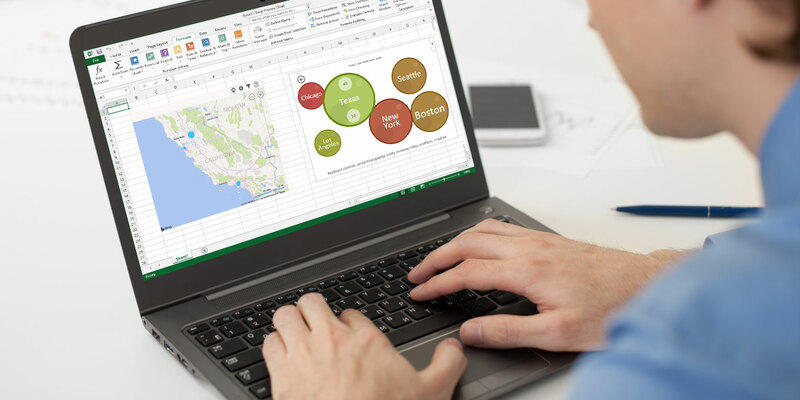 Excel is a powerful tool for creating spreadsheets. Excel add-ins extend the functionality of the software. 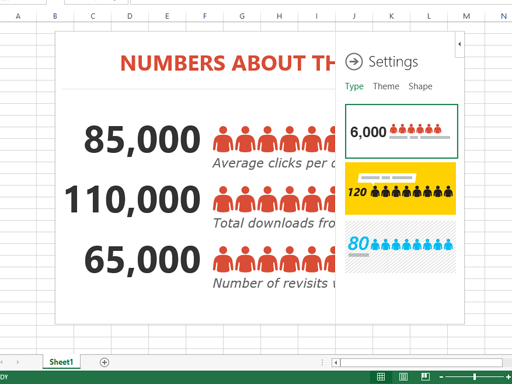 Free Excel add ins provides your spreadsheet to the next level through adding advanced app colours, text or themes. 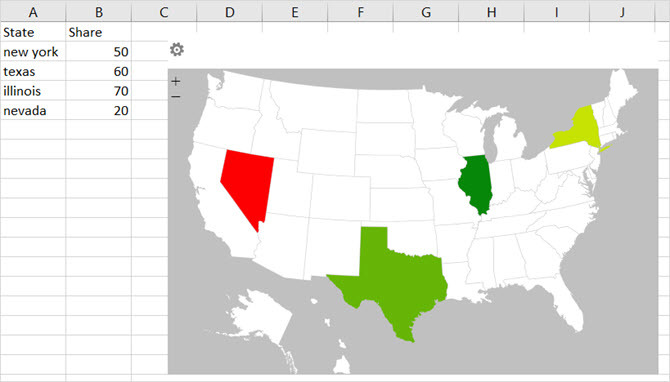 With Free Excel Add-Ins you can create visually stimulating representations of your data. You can find add-ins for Excel, Word, PowerPoint, Outlook, SharePoint, Publisher, and now even Outlook. 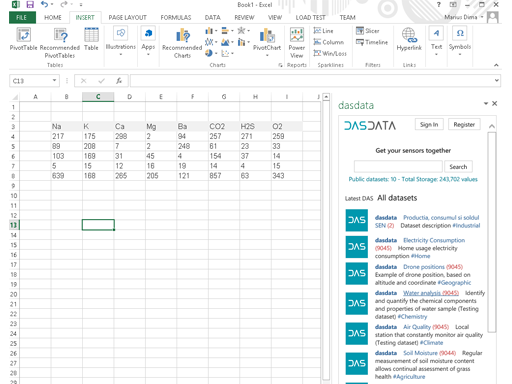 Let’s look at some of the best Excel add-ins for creating spreadsheets. Excel Colorizer is used to add colour to your spreadsheet data that makes your data simpler to read. It provides four colorizing options: uniform, vertical, horizontal, and matrix, creating gradient effect and patterns. Radial Bar Chart gives you to present data interesting visualization around coordinates. To access the Radial Bar Chart add-in, you select the cells containing your data, and then adjust the chart as you like. Bubbles Addin makes data look better in a bubble. This interactive bubble chart tool lets you display information in a unique way. Your data is represented as bubbles of different sizes and colors with realistic physics behaviours. Select a table of data and see bubbles sizes represent the number of times each distinct value appears. 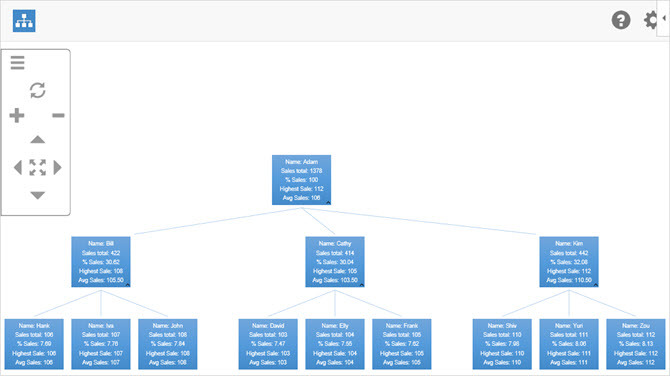 HierView excel add-in helps visualize and analyze hierarchical data. It provides visualization for your hierarchy and gives you ability to compute roll-ups (like total, average, min/max, or a custom formula) at each level of the hierarchy. 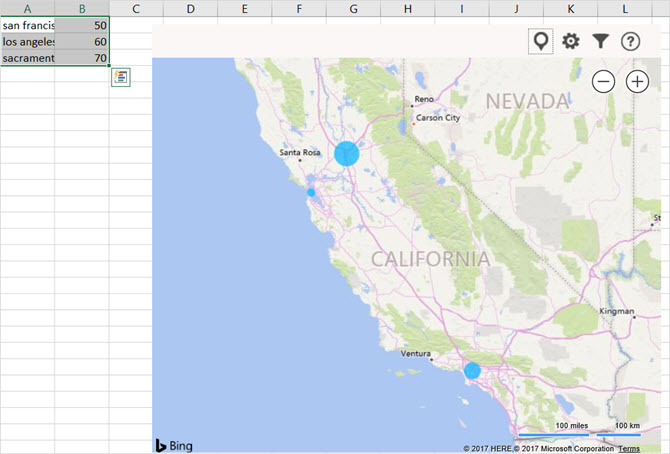 Bing Maps add-in makes it easy to plot locations and visualize your data through Bing Maps in Excel. Spreadsheets data can include addresses, cities, states, zip codes, or countries as well as longitude and latitude. Just open the add-in, select your data cells, and click the Location button on the map. Geographic Heat Map app will help you visualize data across geographic locations. It’s simply formatting on a map. This map will also provide a summary view of your data. It also supports multiple values for a certain geographic location. Pickit Free Images is best for adding photos, free HD images, icons & illustrations to your spreadsheets. Search by keyword or browse professionally curated collections. Web Video Player allows you to add YouTube videos to your Excel spreadsheets or PowerPoint presentations. It works in PowerPoint for Mac and iPad (and it also works in Office 2016, 2013, and browser versions). DasData Office Application allows you to have access to public datasets but also secure connections to your own data.